The Application form for CG PPT 2019 has been released on March 26, 2019. 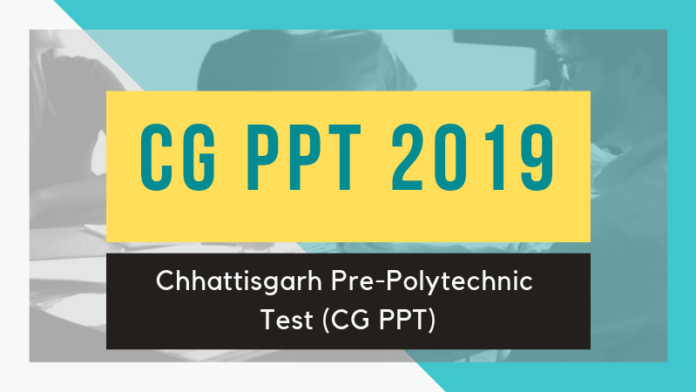 The entrance exam for Chhattisgarh Pre-Polytechnic Test (CG PPT) 2019 is scheduled to be conducted on May 09, 2019. The registration for CG PPT 2019 has been started online at cgvyapam.choice.gov.in. The Chhattisgarh Professional Examination Board, also known as CG Vyapam conducts this state level entrance exam. It is conducted for admission to Diploma Engineering courses. Aspirants should have passed Class 10th with minimum qualifying marks. Candidates can check more details on CG PPT 2019 from this page. CG PPT 2019 is an offline pen-paper based test which is scheduled to be conducted at 27 test cities located in Chhattisgarh. The candidates can check the complete schedule for CG PPT 2019 from the table below. Candidates can check the highlights of CG PPT 2019 from below. Now, before the candidates proceed to apply for CG PPT 2019, it is important that they should first take a look at the eligiibility criteria. There are various criterias which are to be fulfilled by the candidates to fill CG PPT Application Form. Check the CH PPT 2019 eligibility criteria from below. Educational Qualification – The candidates must fulfill the following academic qualification in order to apply for CG PPT. The aspirant should have passed Class 10th exam from a recognized Board. Candidates should have obtained a minimum 35% marks in the qualifying examination. 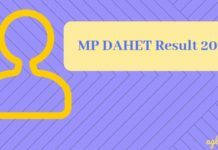 There is a relaxation of 5% marks for the reserved category candidates of Chhattisgarh. Those who have passed Class 10th exam from distance learning/ open school are also eligible to apply for admission in Diploma in Engineering course. CG PPT Application Form 2019 has been released online at the official website of the Board. The aspirants can fill the CG PPT Application Form by online mode only. NO offline form is sent to the candidates by post. In the CG PPT 2019 Online Form, the aspirants will have to upload the scanned image of their passport size photo, signature, etc in .jpeg format. It is advised to the students to keep the list of documents/ certificate/ marksheet ready to fill in details in the Application Form. You will also have to fill in details like your educational qualification details, exam details, etc in the application form. Lastly to submit the form, pay the requisite amount of the Application Fee. Application Fee – The aspirants have to pay the following amount of the Application Fee to submit CG PPT 2019 Application Form. Candidates have to upload the following images in the CG PPT 2019 Application Form. The images are to be uploaded as per the specifications and format only. It is important for the candidates to prepare for the test as per the exam pattern. CG PPT is a pen-paper based test of total of 03 hours duration. The exam timing for CG PPT 2019 is 09:00 AM to 12:15 PM. The question paper will consist of 150 MCQ type questions of 150 marks. The candidates need to prepare subjects like Physics, Chemistry, Mathematics, Computer. 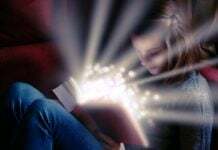 The next step for preparing for an entrance exam is to prepare for it as per the syllabus. The CG PPT 2019 Syllabus is prescribed by the exam conducting body and consist of the important topics which are to be studied by the candidate. It is advised that a candidate should cover the topics for the entrance test. CG PPT Syllabus 2019 is given below. Click Here to open the CG PPT 2019 Syllabus in a new window. The admit card for CG PPT 2019 is going to be released a week before the scheduled test date. The candidates will be able to download their admit card by online mode only. No hard copy of the CG PPT 2019 Admit Card is going to be sent to the candidates by post/ courier. To download it, you will require to enter your 15-digit Registration ID. It is advised to the candidates to keep the copy of the CG PPT Admit Card even after the exam is over. It will consist of personal details of the candidate as well as details of the exam such as date, timings, address of the test center, etc. Once the entrance exam is conducted successfully at all the test centers, CGPEB will publish the Answer Key for CG PPT 2019. The answer key will be available for download online at the Board’s official website. The candidates should use the answer key to cross-check their answers and calculate their probable score. If a candidate is not satisfied with the answers marks in the CG PPT 2019 Answer Key, then he/she can raise an objection on it. The objection in the CG PPT Answer Key is to be submitted online at the email id [email protected] Along with the objection, the candidates also have to submit a valid proof in support of the challenge submitted. The candidates will be allowed to submit objection in the CG PPT 2019 Answer Key only for a limited time period only. 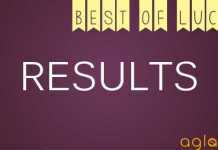 CGPEB will announce the CG PPT Result 2019 online at its official website. To check the result for CG PPT 2019, the candidates need to log in by entering their CG PPT Roll Number. Along with the result, the Board will also publish the list of top 10 candidates for CG PPT 2019 examination and the final answer key. The candidates are offered admission in the Diploma in Engineering course on the basis of their merit in the entrance exam. As per the CG PPT 2019 Information Brochure, to pass CG PPT 2019 entrance examination, the candidates need to obtain more than 0 marks in order to be declared as qualified. Selected candidates of CG PPT 2019 are then called for document verification, as per their names appearing in the CG PPT 2019 merit list. After this round, a candidate is asked to freeze the seat under their names. The Counseling registration forms are made available on the official website. Candidates need to fill and report to the allotted center, along with a list of document proofs. 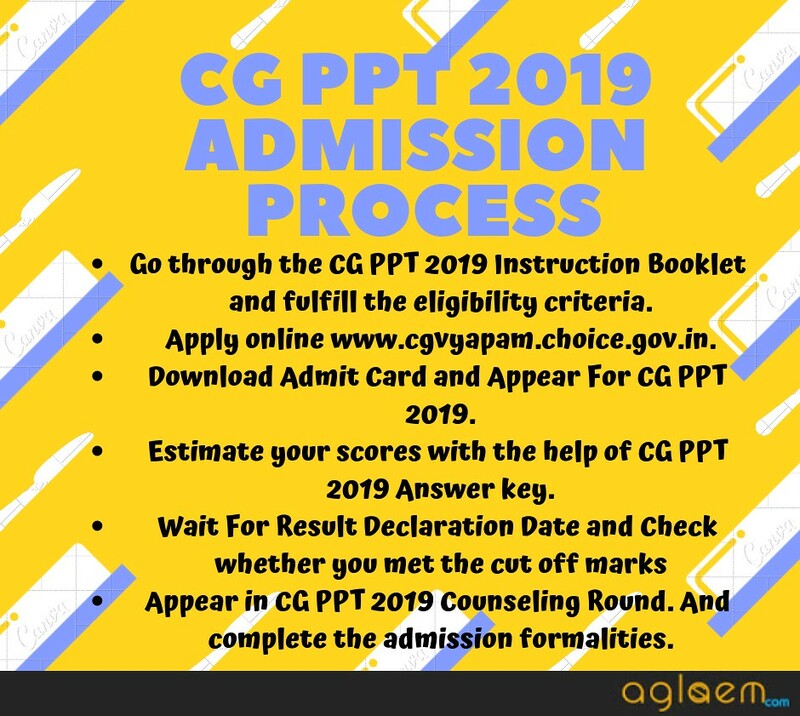 For more information about CG PPT 2019, candidates can download Notification | Pravesh Niyam.